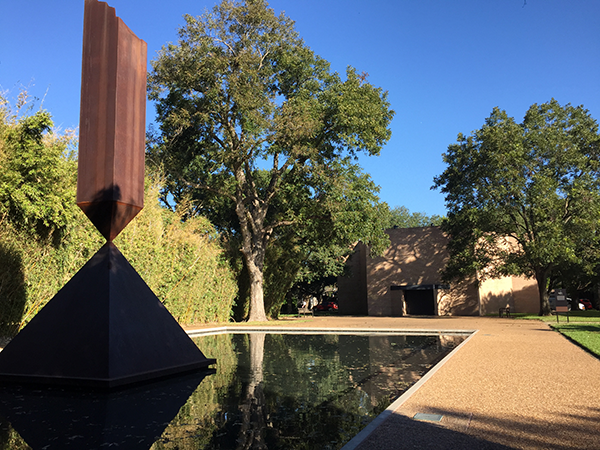 I’m not sure if the Rothko Chapel is necessarily in everyone’s wheelhouse, but it’s most certainly within mine. I’ve be a Rothko fan since way back when and looked forward to finally getting to see his ultimate artistic expression while on my stop in Houston. It wasn’t a letdown, and, in fact, exceeded my expectations. I’ll trade you a thousand ornate Gothic stained glass windows for the powerful and immense presence of the artwork found within this austere and serene setting.